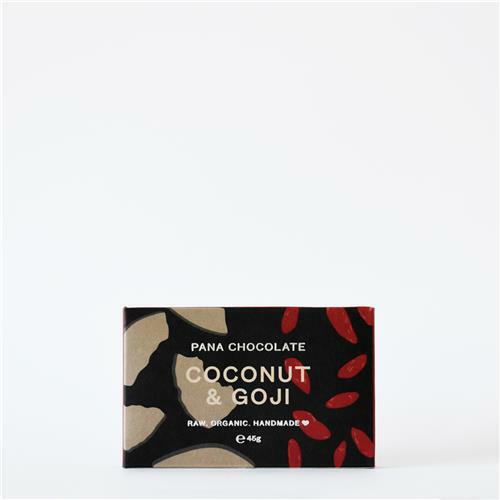 Pana’s Coconut and Goji Chocolate combines 50% raw cacao with goji berries and coconut flakes. It’s a bar with multiple textures, multiple antioxidants and multiple fans! 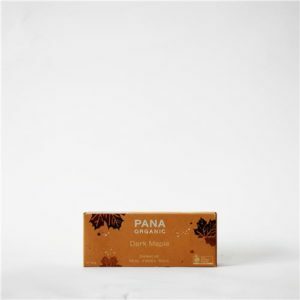 50% Minimum Cacao Solids (Cacao Butter & Cacao Powder), Dark Agave Nectar, Coconut Oil, Goji Berries (10%), Coconut Flakes (7%), Carob, Cinnamon, Himalayan Crystal Salt.